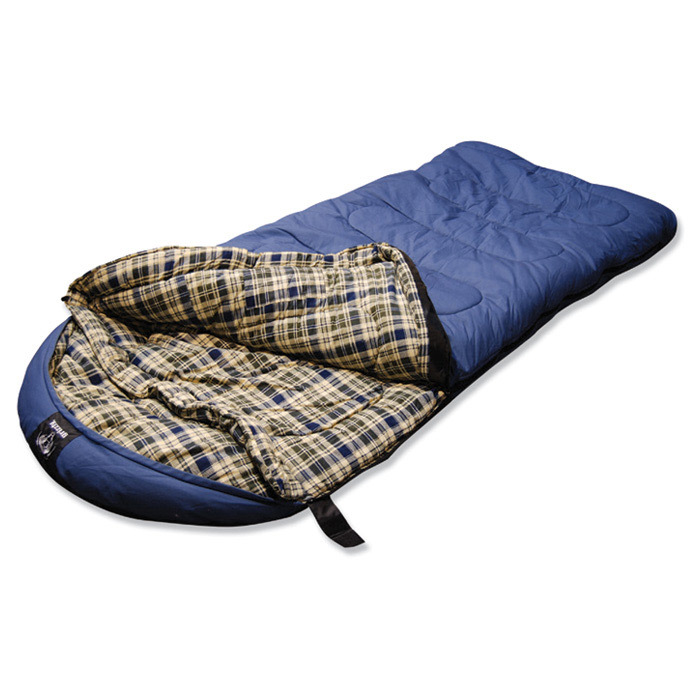 You’ll be able to camp in comfort with the Grizzly Canvas sleeping bag, thanks to its soft flannel lining, roomy dimensions, and double layers of insulation. Staggered quilting helps keep out the cold and hold in the warmth. The bag’s hood has space to insert a pillow for extra camping coziness, and the zipper can be pulled from either the shoulder or the foot end of the bag. Extra-large draft tubes prevent chilly air from getting in along the zipper, and for maximum warmth you can cinch up the chest baffles close around your shoulders. Right-sided zipper single bags available upon request. Available in single or 2 person.